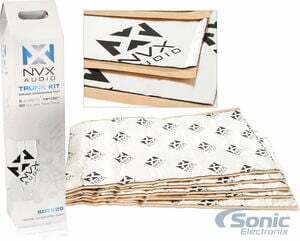 Improve the quality of your bass by adding an NVX SDTK20 Sound Dampening Trunk Kit to your Subwoofer purchase. Simply click the "Add Both to Cart" button. This offer cannot be combined with any other coupons or offers. 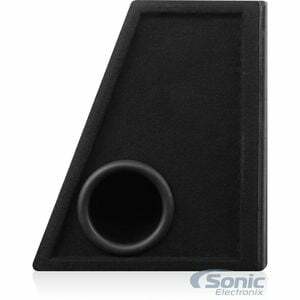 Building a bass system for your vehicle is more complicated than buying some subs and hoping for the best. You've got to get the right sub for the size of your vehicle, the right amp to provide the right amount of power, the right box for everything and the right wiring to provide the right amount of current. Man, you just want some bass! How can you make this easier? Enter the Belva BPKG212v2. You get two woofers - no passive radiators here - the perfectly-powered Belva BB200ABV2 amplifier and a gorgeous box with a port precisely tuned for boom. 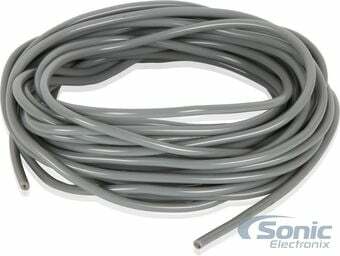 On top of that, you get a complete 8 AWG wiring kit. 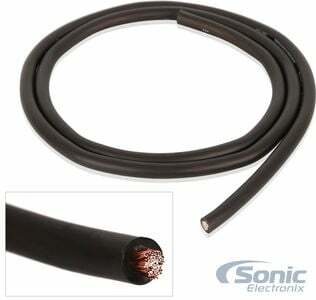 Lots of other bass packages from other companies cost more than this and they don't even come with the wiring. With this Belva BPKG, you're saving money in all kinds of ways, and you've got one less problem to solve before buying. Installation is also a breeze and outlined clearly in the quick-start guide included with your BPKG. On top of that, your subs are built with polypropylene cones and rubber surrounds - like a lot of the more expensive brands - and you get a bass knob to control your gain from the front seat. You've also got a lot of flexibility here! With high-level inputs and standard RCA connections, every BPKG's amp runs perfectly with either factory or aftermarket headunits. 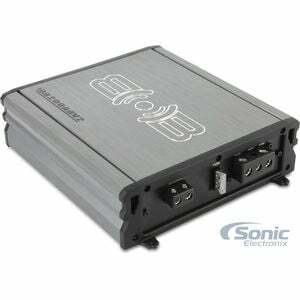 No more worrying about whether your stereo will play nice with your subs, BPKG packages welcome all source units! Hit "Add to Cart" now and get your trunk bumping sooner rather than later! The RMS power rating is the measure of continuous power that an amplifier can output, or a speaker can handle. It is the most accurate depiction of real, continuous power that the industry has so far. If the final impedance of your speaker(s) or subwoofer(s) equals 2 ohms, this is how much power this amplifier will supply at that ohm level. The higher the RMS wattage, the more clean and loud your music will sound. 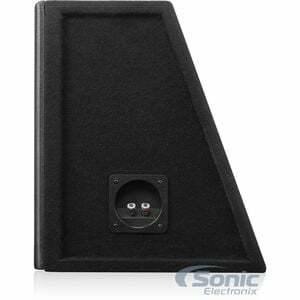 The 5th channel on these particular amplifiers are usually dedicated for driving subwoofers. if you looking something to hit those reggae bass drops, this is it. bump damian marley "welcome to jam rock" on this; nuff said! 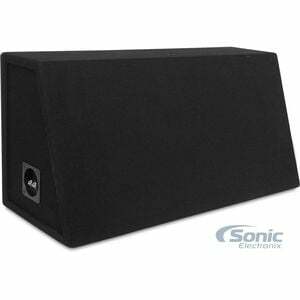 I would recommend this to anyone who is either getting a subwoofer and who is wanting a simple build. This has Awesome sound and has alot of power, don't listen to what other haters say. This is great no doubt! My husband and son both have this set up, and they both love it! Easy to install. I would highly recommend this product they work great and easy to hook up and a great price! Absolutely can not beat the price. 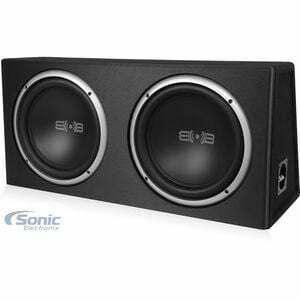 Great deal on some decent speakers. Much better than i expected. 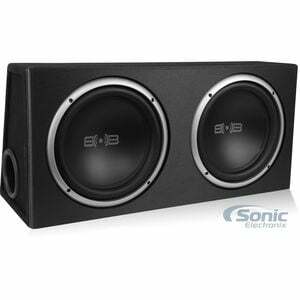 I would recommend these to anyone who wants good bass at a very reasonable price. these belvas worked great for the 2 years I had them and still are its not a brain rattler like the jl audio 12s if that's what your looking for but for the price you cant beat them in my opinion my buddy had the mtx terminators and they arnt any better about even. these were my second subs and I couldn't be more happy with them also comes with a yr warranty which gives you peace of mind. I listen to mostly rap and hip hop so if that's your genre then these are your subs. These kits are amazing for the price! This is definitely all in one kit! I have bought 6 of these kits from the older style and to this up dated style. Great product! I'll be honest, I didn't expect much. 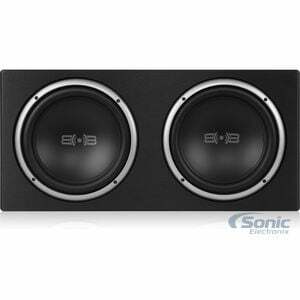 A cheap set of subs for my room is all I was looking for. They chuffed terribly at any decent volume mostly due to a port made from a cardboard tube and a flare on only the outer end. The screws that held it together were impossible to get out without stripping so I ended up replacing them all with my own and I blocked off the port to create a sealed box. Sounds way better. I'll be testing the subs on a more powerful amp soon to see how they do. 1200 peak? Let's find out. For the amplifier, a 25 amp fuse and some basic math tells you that on a good day this will peak at 350 watts at 2 ohms. 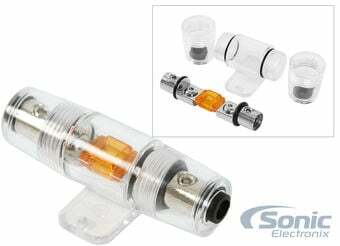 At 1 ohm it just gets scary hot and eventually hits protection. A nice feature this amplifier has is a low voltage cutoff. Very hard to turn up volume without clipping. All boosts turned off and the gain at about 1/3 and I can't turn it up past like half volume. 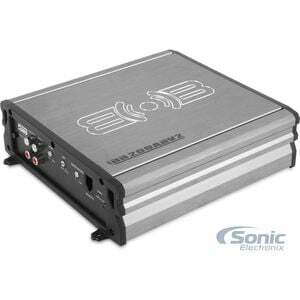 To be honest though, if you needed to add this to a stock sound system and didn't want a big drain on battery, this is a good set of subs. Turn all gains and boosts down and run it as is. Use a RCA bass knob and call it a day. What an excellent complete set for only $169.99. What a steal that is. 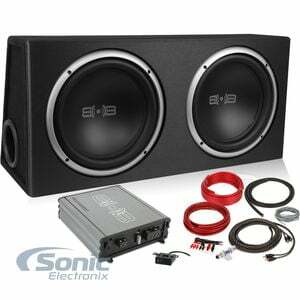 This is a great package that comes with two 12” subwoofers, 1500 watt amplifier, and the needed kit to install. I haven’t seen such a great price anywhere else. This is amazing! Sounded fantastic in my 2017 Campari SS. No distortion, no bs. Definitely showed those factory speakers up without a doubt. I would highly recommend this system.Easy installation,with all the parts you need. Sounds great! Overall, it really rumbles quite well. Provides high quality bass and you can really feel it. Although, the amp is a little weak, so I will be upgrading in the future. This unit bangs like mad. It is just the ideal thumper for your ride. I highly recommend it . I got the whole kit, amp , speakers and all the stuff to install. It was a very good deal. A few simple adjustments on the amp and It was thumpin like a champ. The product is working fine and I hope to keep enjoying the item more. 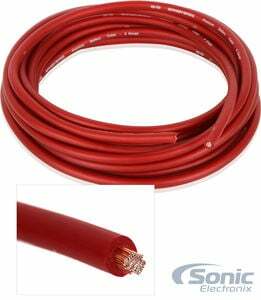 I think I paid $159 for the 2-12 inch sub woofers amp and wire kit. Everything packaged together. And they hit very very good. I would recommend this for anyone. The amp went out. Trunt only half way it cut on and off till it died. Didn't even last 30 days. 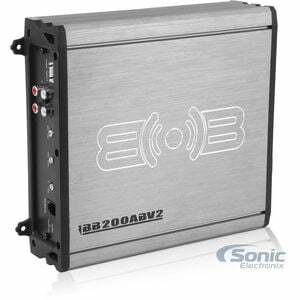 We purchased the Belva BPKG212v2-Complete Amplified Bass Package for my son's 16th birthday to be installed in an 01 Toyota Camry. We had originally planned to install them ourselves but wanted to get a new radio also so we had the Bass Package professionally installed and we couldn't be happier with how it sounds- especially for the price! Ok forget everything I said. The subs so far are decent but the amp is garbage. Didnt last me 2 weeks. If you want to use this setup buy another amp or avoid it all in my opinion. 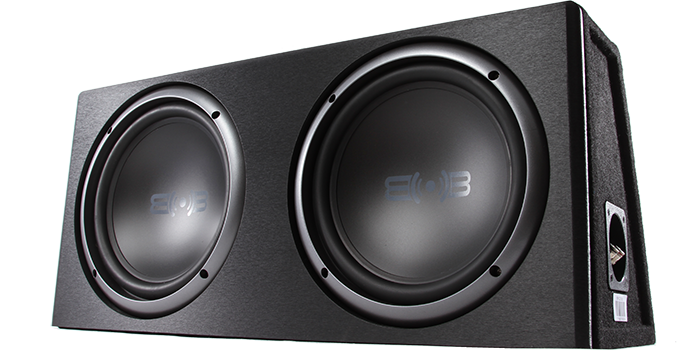 Ok, if you are out looking for good, entry level subs that produce good bass, you've found it. I was skeptical at first when I bought these just becase I've never heard of the Belva brand before. I saw some YouTube videos and thats about it. I had this professionally installed with everything it came with except the power and ground, which is evidently aluminum instead of copper. Aluminum isn't as good as copper and also heats up and can cause serious damage if you aren't careful. 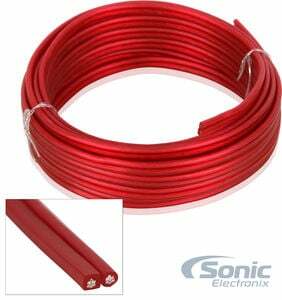 You'll want thicker copper power wires so you can play it safe and enjoy your bass without choking your amp. But again, I had these installed to my 16 focus factory radio and I am very happy with it. Its in my trunk and with the seats closed it still produces ear rattling bass. It even makes my rear view mirror shake. But some people have left poor reviews and I'm betting its because they weren't smart with their installation. 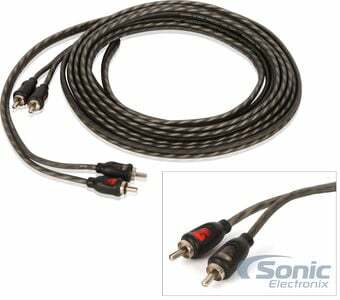 Just remember to make sure you have thicker copper wires that carry any current, and your gain is set properly so the subs won't destroy themselves. The amp has gotten warm, but not hot. 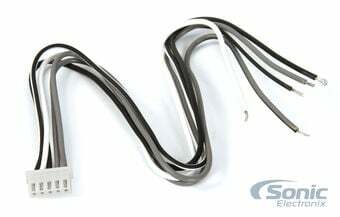 Which having better cables should help keep it cool. But overall, this package is a steal for the price. Its clean, hits hard, and will make you happy if you play your cards right with the installation and care. I give a 4 for the durability and features only because I haven't had this for that long yet, will update if something happens. BUT SERIOUSLY, THIS IS A GOOD DEAL. this system was very easy to hook up. I purchased a pair of speaker covers to protect the speakers. I put them in a x-terra, that I also work out of. these subs matched pretty good with the the sony speakers I upgraded to in the doors. This seems to be a beginner's system. Not alot of power and very poor quality especially on the high notes. Would not recommend if your looking for serious bass. Cannot beat this deal for the price. Helped my son install this in his 2007 Mazda 3 hatch just over a month ago and it is still going strong. The power cable was JUST the right length. The negative cable also only barely long enough. We installed the amp sitting on top the sub box in the rear. The kid loves it but i can't stand it. Too much bass way too many lows but I'm old. I loved this product. Took a little while to learn how to install it. But worth the price. I love it. Great product and especially for the price! You get everything you need to hook up your great new system. Only problem is the directions to hook it all up is waaaaay way too vague that I had no clue what to do at all. I had to pay an extra $120 to have someone install them for me. Make sure you know how to hook them up already or have someone who can do it for you if you don't want to pay an extra installation fee. '16 - 2 Door (Soft too) Wrangler. Fits in truck with some wiggle room. Solid sound inside. Good stuff for the price. Durability a 4 because I haven't had it for more than 3 days when writing this. I do recommend, but make sure you know how to wire. Also create a box so they hit harder. The product is great. I love the bass these speakers emit, I'm just a little disappointed due to the 200w amp. They come with no specs on how much they can actually put out if I was to get a new amp. 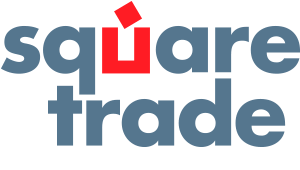 Best speaker system for your money. They hit really hard, great quality. I would suggest getting a bigger power and ground wire, other than that it's an overall great product. Love the subs great for what I paid and hell no not a complain at all. I would definitely tell more people to buy them, I might order another set for my other car. 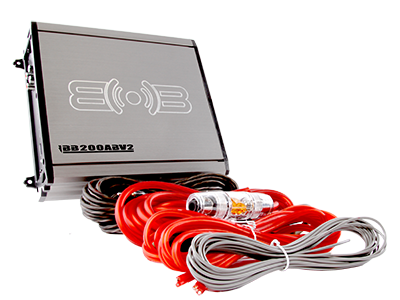 The Belva bass package is definitely affordable and gives you a good clear sound with plenty of base it's sleek design fits well in the trunk of my 2015 chevy Impala. 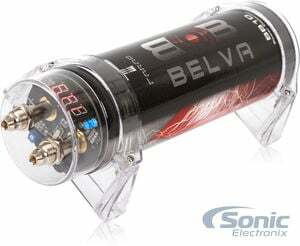 If you want to save money and still have a nice sound I highly recommend the Belva bass package. This system is on the extreme low end. Amp is actually decent, but speakers are not built to last. I would recomend raising budget and bypass this package. I have read a lot about the amp with this package getting to hot. I have two amps that are much bigger but have not had to install the stock one works perfect I think. Good subs for beginners or people who want good hit and good price. Does have some issues with the low range hits that real grinding low tones are kinda foggy but overall good sub. I bought this package on 2/7/2017 for my sons Cherokee, got it 2/10, and installed 2/12. It added the perfect amount of bass and we both are very pleased. I was really impressed with the sound/bass this package made. I'm glad i went with this and have no regrets at all. For the money, you can't find any better deal. i'm giving this 5 stars across the board for the mere fact of quality to cost ratio, and adding a good sound per what I was looking for. Thank you Sonic for the great deal! I'll be doing future business with y'all. 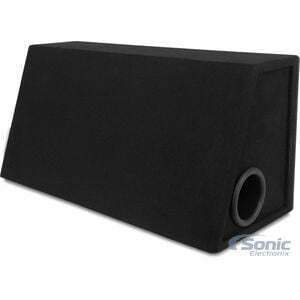 Great sounding subs.only thing I would recommend is to upgrade to an more powerful amp. Mins connected to an 1000 watt amp. Just enough bass for me. 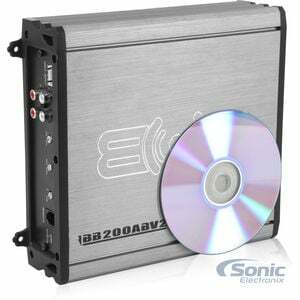 View all available accessories for the Belva BPKG212v2 - Complete Amplified Bass Package.